It’s really kind of amazing to consider that, as popular as Japanese anime has become over the years, that many young admirers of the form may not even know about Astro Boy. (Of course, the upcoming CGI movie will soon change that.) Back in the early 1960s, no one in North America really knew about Japan’s animation industry at all. That would change after Fred Ladd got a call one day in 1963 from NBC Enterprises, a division of the famous American broadcasting company NBC. The phone call led to Ladd being introduced to a new animation property from Japan, starring a robot boy named Tetsuan Atom. Although Ladd’s writing style eventually drove me crazy, I found the first 70 pages of the book to be essential reading for anyone at all interested in the history of anime. 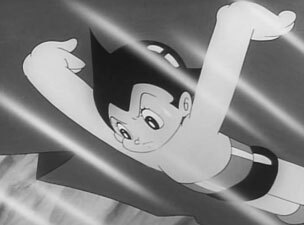 It seems clear that the money that came from NBC Enterprises’ purchase of the Astro Boy rights helped to kick-start what would become a thriving industry in Japan, leading to subsequent sales not only in the U.S., but throughout the world. The tales of early meetings between Ladd and Japanese animation executives, not to mention Astro Boy creator Osamu Tezuka, are sincerely interesting. Likewise, it is fascinating to read about how Ladd and his team were forced to alter the original cartoons to adhere to American broadcast standards, particularly where violence was concerned. Like I said, I quite enjoyed the first 70 pages of the book. It’s a real shame, then, that there were another 150 pages to slog through. Ladd’s writing peculiarities were bad enough in the first part of the book, without all the additional filler to come. When reading a book like this, one really wonders if the writers ever worked with an editor at the publisher’s office or not. I can’t tell you how many times that Ladd reminds the reader that Tetsuan Atom is “our Astro Boy,” or that Tetsujin 28 is “our Gigantor. It’s very annoying. Really, Fred, I got that the first time. No need to repeat it another 20 times. There were also several times that I thought I had already read a chapter before, since he revisits the same stories, adding new details on each telling. This rambling approach is less than scintillating. The extreme redundancy and repetition get very monotonous by the end of the book. He also tends to use the same examples more than once, like explaining to the reader that a show’s sale will lead to other producers and writers trying to sell similar shows. Aside from that already being well known and obvious, it’s really not necessary to explain that in two separate chapters. Better organization would have been appreciated in other areas too. 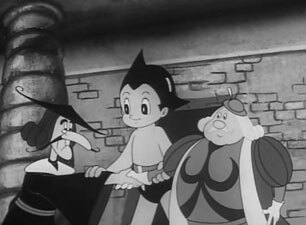 Very early on, Ladd mentions his involvement with the feature film Pinocchio In Outer Space, but it is not until Chapter 17 that he explains how this relates to his involvement in Astro Boy. In between, however, we do learn a good deal about Tezuka, Kimba, Gigantor, Sailor Moon, and other shows that Ladd either worked on or didn’t work on. 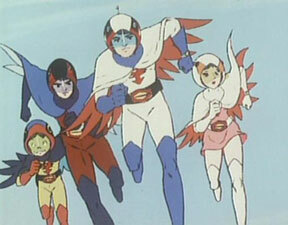 He tells us why he stayed away from Battle Of The Planets, but agreed to work on G-Force from the same source material. 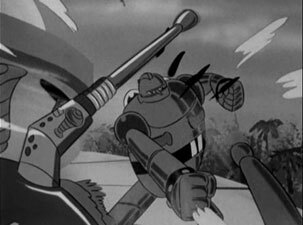 We also find out how the original masters for Ladd’s Astro Boy were deliberately destroyed, and how an Australian company’s efforts miraculously brought the show to DVD. That’s all pretty interesting, and I’m glad to have read that material, but why only return to Pinocchio In Outer Space after all that? Apparently, chronology isn’t important to Ladd. By the second half of the book, it has degenerated into random chapters explaining Ladd’s views of Japanese culture, the anime industry of today, a brief survey of boy-and-robot shows, anime fandom, the later failure of Tetsuan Atom’s Mushi Studio, homosexuality in anime, and a glimpse at some of the larger Japanese animation studios. He hits Otomo and Miyazaki each briefly, and also jumps to the subject of Korean studios. And he does little of this well. It all feels like an attempt to stick everything he knows about anime into the latter chapters in order to pad the book into a respectable length. Other books cover these topics much better, and Ladd needn’t have bothered. The later chapters also have a tendency to repeat what has been previously discussed. Did I mention the redundancy? I did? Oh. It’s annoying, isn’t it? And then there is Ladd’s sense of hyperbole. One can forgive a gentleman for enjoying discussing his life’s successes, or even indulging in a little exaggeration; but to hear him compare listening to the first dubbed episode of Astro Boy to a 1927 audience’s reaction to The Jazz Singer (the first “talkie”), is truly laughable. Fact checking is also an issue, such as when he discusses Sesame Street in a 1963 context, despite the show not debuting for another six years. I’m really glad that Mr. Ladd wrote down his memories of helping to produce English language versions of anime. Whatever one may think of his efforts, his participation was essential to bringing Japanese animation to the attention those living in the United States, Canada, Australia, and other countries. It’s just too bad that the book didn’t remain focused on that contribution. Once Ladd tries to discuss anime in a broader sense, it becomes clear that there are other books out there that can do a much more thorough job. And some of those books are likely way better edited than this one, which seemed rushed to print. 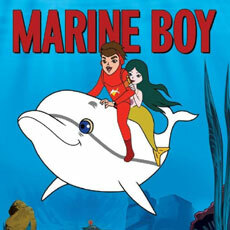 As a book, ASTRO BOY And Anime Come To The Americas makes a nice magazine article. For the cost of a magazine, I’d pick it up in an instant. At $35, it seems pretty overpriced (and it’s not even discounted at Amazon)— unless you have a huge interest in the first third of the book, which is in itself worthwhile. Buyer beware. at www.mcfarlandpub.com or at 1-800-253-2187.